Outstanding value for money. Comes with A.Tech sound mod, Optilock rings and bases, Harris style bipod. Cerakote finish on all metalwork in black, Boyds laminated sporter stock, all in very good condition. A reliable modern classic from Tikka now improved in the T3X. This is a brand new wood/blue version in the ever popular .243 calibre. Please ask about our package deals. New, With a 6 Round Magazine. Tidy gun , threaded barrel .Comes with 3 magazines . The Tikka T3 Hunter is designed for the shooter who appreciates the warm feel of a wooden stock combined with solid performance. 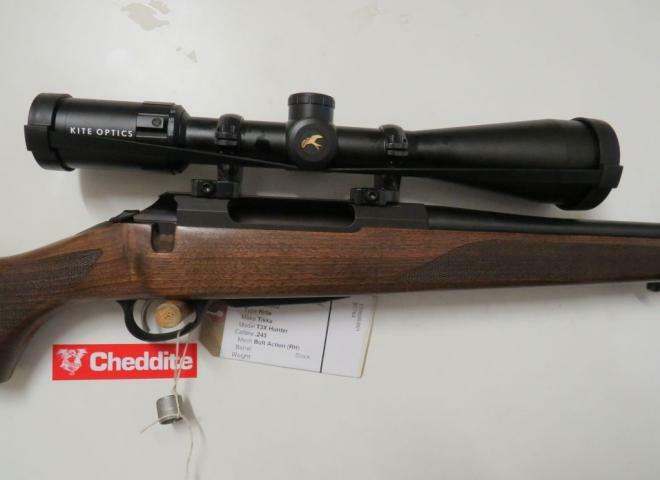 A nice condition Tikka 308 rifle with A-Tec sound Mod and Schmidt & Bender 6x42 scope. Gun is about 2 years old. Old gun in reasonable condition. not screw cut but can be in a thread of your choice. The latest T3 X model with 20 inch barrel synthetic stock, adjustable trigger, 4 round magazine. threaded for a sound moderator in 14X1. DEAL INC BURRIS 3-12X56 ILL SCOPE WITH RINGS AND BASES, JET Z SOUND MOD. 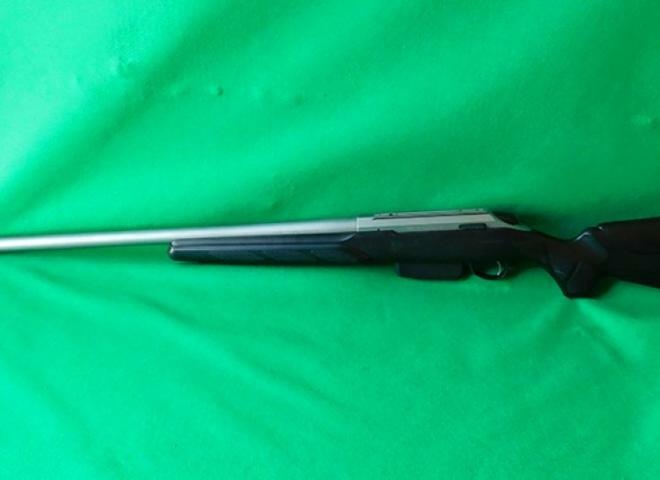 The Gun Room offers you the opportunity to purchase a new Tikka T3 Lite Synthetic, blued barrel with 14x1 thread. The last of the original Tikka T3 Stainless synthetic's. Muzzle thread 14x1 3 shot detachable magazine crisp trigger pull and superb accuracy, what more could you want from a good solid working tool. 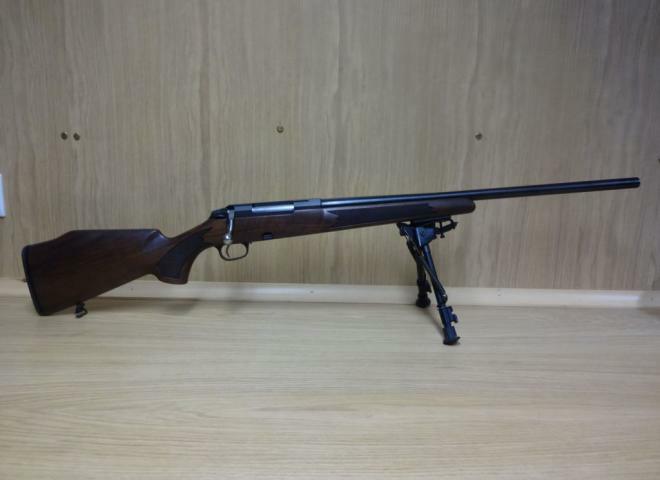 Fantastic condition older model M690 Tikka .270 on TRUE LEFT HAND ACTION. 20" threaded barrel at 1/2" standard UNF but some rubbing to the blueing from a previous moderator....as happend a LOT unfortunately ! 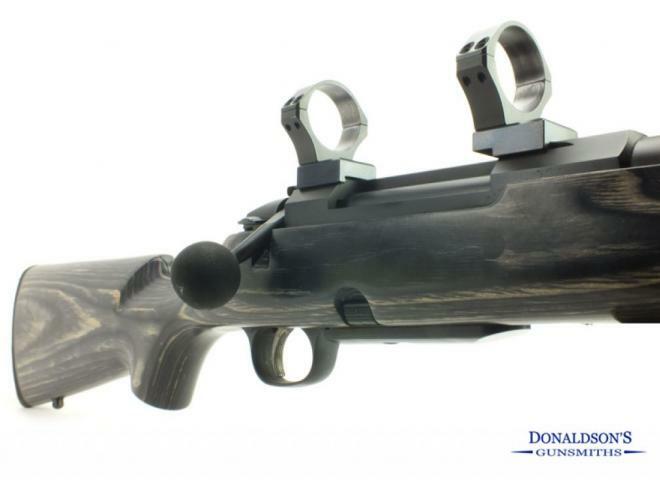 A multipurpose rifle that adapts to any given situation. ABSOLUTE GEM of a vintage rifle from Tikka. For something potentially 50 years old this is in just about PRISTINE condition.